Offered at Cal State LA Downtown, the Professional Certificate in Project Management program will prepare individuals with the leadership, communication and technical skills required to effectively plan, manage and control projects. Found in many industries, project management roles are in high demand. The Project Manager works with a number of individuals toward an end goal, and is tasked with keeping the team on task and within budget. He or she must communicate well with a variety of people, including management and clients internally and externally, keeping in mind the message may vary depending on the audience. Students will earn a Certificate of Completion for completing the two required courses for this program. ETI provides on site, customized training in most technical skills and business topics such as Print Reading, Lean Manufacturing, Six Sigma, Project Management, Geometric Dimensioning & Tolerancing (GD&T), Supervisory skills, Management and Leadership, and many others. Employment Training Panel (ETP) state funding is available for eligible employers. Please contact us if you are interested in utilizing state funds to substantially reduce your training costs. 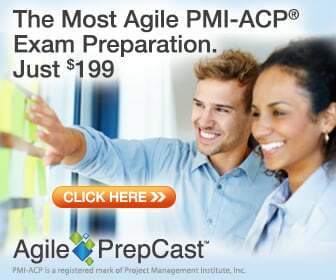 The Los Angeles Chapter offers two PMP® preparation courses per year, one in the spring and one in the fall that run for 6 Saturdays. In addition, there are two boot camps that run for 4 consecutive weekdays, one in winter and one in summer. These workshops provide study materials and guidance to assist PMI® members in their preparation for the PMP Certification Exam. PMP certified chapter members or PMI members who are recognized as subject matter experts conduct the sessions in the Southern California area.